We offer a highly specialised service, advice and supply on all aspects, from designing Water features, Pool features, Rock Wall features, Fibreglass & Plastic Ponds. We will even help selecting the correct Fountain, Pond Pumps or Filters, including Water Blades along with other accessories such as Statues & Bird Baths. We have a fantastic range of uniquely designed products to enhance the individual look of your swimming pool, spa or pond. We also have a huge range of high quality Water Features that are easy to assemble and can be operating within 30 minutes. Bring in a photo of the area you want to work on including the measurements to our Joondalup showroom, and we’ll help you with the design and selecting the right products to suit your taste and budget. 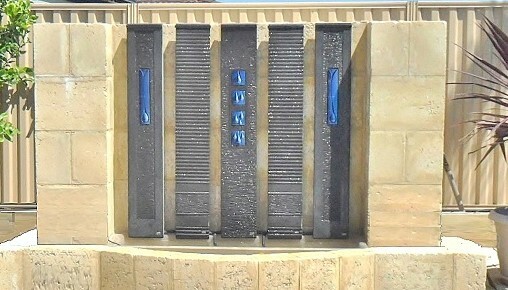 Visit us and view our amazing range of working water features in store.